Burgundy, Bordeaux, Oxblood or Wine… It goes by many different names, but whatever choose to call it, deep, dark red is the beauty color of the moment. It’s bold, daring and definitely a statement beauty look. I had been searching for the right lip color for a few weeks when I discovered NYX Simply Vamp Lip Creams. The 6 piece collection of dark colors has the perfect selection of shades to match any skin tone. Plus at only $6.49 it’s an obvious must have. “Bewitching” is the shade that fits me best and I immediately knew I had to do a photo shoot with it. 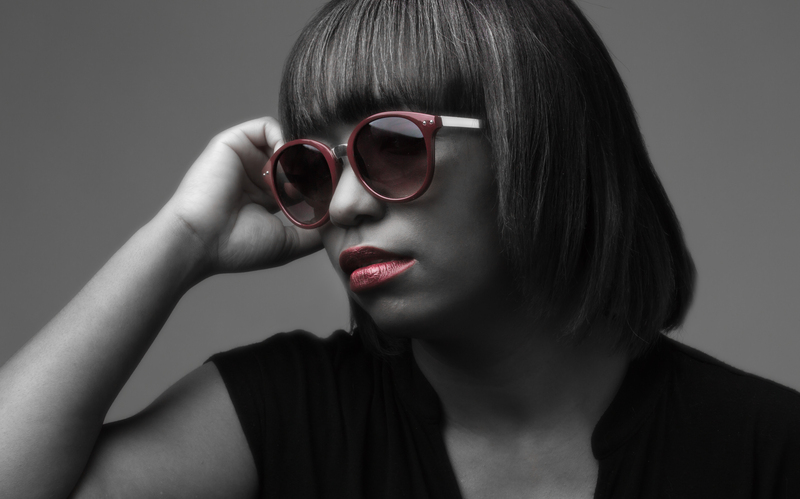 Pairing the Lip Cream with my newest sunglasses in my collection created a dramatic look that I simply love! With this photo shoot, my photographer (aka my husband Joshua) wanted to create a mood that captured the essence of the lip cream. I love how the photographs turned out!